We're proud to say we will be launching a brand new payment and loyalty app to replace the La Carte Noire Loyalty Programme. 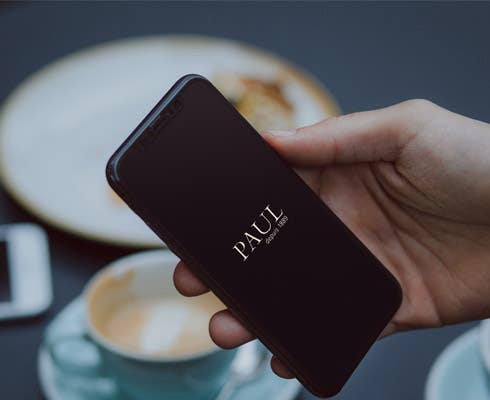 Once launched the PAUL UK app will become the quickest way for you to pay at PAUL and earn delicious rewards, all with a simple scan of your phone. How can I get the new PAUL UK App? The PAUL UK App will be available to download on your mobile phone from both the Apple App Store and Google Play Store in due course. Use your phone to pay for your order and earn rewards at the same time. All your loyalty account details in one place: manage your account, view your transaction history, get digital receipts, check your points balance, stamps collected and Points Store vouchers, all on your phone. Every time you pay using the App you’ll earn points to spend in our new points store. For every £1 you spend using the App, you earn 100 points. As your points accumulate, you’ll be able to exchange them from free items. The new App has a stamp card feature for hot drinks. Pay for your hot drinks using the App and collect ‘stamps’ to earn free hot drinks with our ‘Buy 9 and get the 10th FREE’ reward. From time to time we’ll be surprising you by adding special rewards to your account to thank you for being a great PAUL customer. What happens to my existing loyalty card and account? Our La Carte Noire scheme is being wound down, so you should check your loyalty account and make sure that you redeem any free items and spend your loyalty points and any cash credit as soon as possible. You will have until 20th July 2019 to redeem your free items and use your points against in store purchases. After that, your card, along with any free items, points or cash balance on your account will expire. For more information, check our Frequently Asked Questions section below. Q: When is PAUL UK introducing a loyalty app? A: Our new loyalty scheme will be launching soon, keep your eyes pealed! Q: What changes are you making to the loyalty programme? 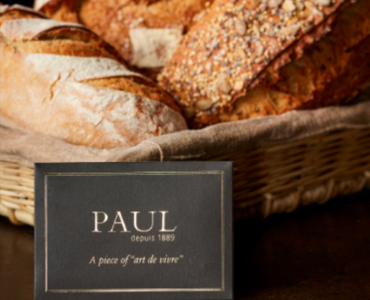 A: We are replacing our La Carte Noire Loyalty card with the PAUL UK mobile App. You can download the App onto your phone from either the Apple App Store or Google Play, link your chosen payment card securely to the App and use it to pay at PAUL and earn rewards. Instead of receiving 1 point for every £1 (One Pound) you spend and being able to redeem your points in store, you will receive 100 points for every £1 (One Pound) or more simply a point for every penny you spend using the new App. Once you start spending you will be able to exchange points for free items available in the points store. Our ‘Buy 9 and get the 10th Free’ offer will remain for hot drinks only, and the new App allows you to collect digital ‘stamps’ whenever you pay for a hot drink using the App. The free hot drink includes any size of hot drink excluding seasonal specials. Q: I use my loyalty card to pay for items, what do I do? A: If you have a credit balance on your loyalty card, please use it by 20th July 2019. After that, you can use your new PAUL UK App to pay for all your favourite PAUL goodies by linking your payment card to the App. Q: How do I pay using the new PAUL UK App? A: Link your debit or credit card to the App. This will generate your own personal QR code. When you’re ready to pay, simply present your QR code to be scanned at the till. It’s quick and easy. Payment will be taken and your rewards added at the same time. Q: How secure is the PAUL UK App? You don’t need to ‘top up’ your account. The App allows you to pay for each transaction separately. You can add a pin number or fingerprint entry to the App on your phone for extra security. Q: Are there any hidden costs when paying using the PAUL UK App? A: When a customer first links their payment card to the app there is a 2p charge deducted. This charge is refunded after 5 days to your payment account. Q: What types of credit/debit card can I link to the PAUL UK App? A: You can link any debit or credit card from Visa, Mastercard or American Express. Q: Can I transfer my points to the new App? A: No. Please redeem your points in store by 20th July 2019, after which they will expire. Q: Can I transfer my credit balance to the new App? A: No. Please make sure you spend any credit balance you have on your Carte Noire by 20th July 2019, after which it will expire. Q: I have points on my La Carte Noire card, will these expire? 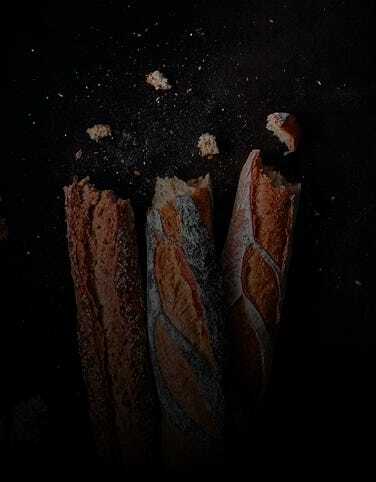 A: Your La Carte Noire points will expire on 20th July 2019, so you have two months from the launch date of the new App to redeem your points in store. Q: How do I check whether I have any free items to claim on my loyalty card account? A: Just log into your loyalty account via our website to check any free items that are waiting for you to claim them. Make sure you claim them before 20th July 2019. Q: Will gift cards no longer be available if the La Carte Noire card is no longer available? A: It will no longer be possible to buy a Gift Card once the La Carte Noire has been withdrawn. Q: I was given a Gift Card with money on it to spend at PAUL, or to buy a place at a PAUL Masterclass or to pay for Afternoon Tea. Or I gave such a gift to someone else. Will I / the recipient of my gift card still be able to spend my gift if the La Carte Noire is being withdrawn? A: It will still be possible to spend the credit on a PAUL gift card but we encourage you to spend all credit before 20th July 2019. If card balances have not been spent after this date, customers will need to contact us directly to investigate. Please note, all gift card balances expire if a gift card has not been used for at least 1 transaction after initial purchase as per our terms and conditions. Q: Who do I contact if I have problems with my La Carte Noire loyalty card? A: Email us at loyaltycard@paul-uk.com and we will do our best to resolve any issues you have with your current loyalty card.